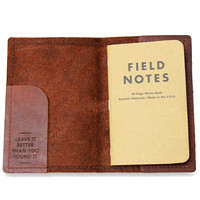 Stash your passport, pencil and field notes in this top-grain leather cover and get style points along the way. Parks Project is a group dedicated to the idea that the responsibility to maintain our parks is up to all of us. Made with top quality genuine leather and equipped with 7 slots, this passport holder is both practical and durable. The RFID blocking function keeps your credit card, debit card, passport and ID card safe from those who try to steal from you. The Landing Gear neck stash pouch features include an adjustable strap, moisture-absorbing back panel, and smart storage compartments. The durable rip-stop nylon keeps your valuables secure, while the wicking tricot backing allows air to flow naturally when the Landing Gear neck stash is worn beneath your clothes.